We head to the shower to feel clean, the goal is to feel fresh and clean. You could step out of the shower dirtier than when you stepped in. How is that possible? You can clean the shower tiles, walls and tub with all types of cleaning solution, but what about the shower head? 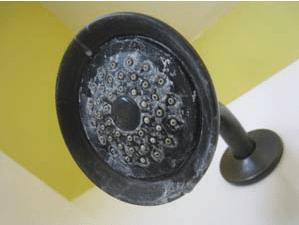 Overtime, shower heads can become loaded with bacteria and mold, but who bothers to clean them? Who even knew about this for that matter. Your shower head is spewing nasty moldy bacteria filled water at your face and it can seriously effect your health. Tremendous research shows that showers can be harmful to your health, Scientists at Manchester University studied the slime that builds up inside showers and shower heads. Their research into bathroom scum found bacteria and fungi linked to a range of illnesses from Legionnaires’ and Crohn’s disease to septicaemia and skin, hair, ear and eye complaints. And in some cases, these risky illnesses can kill. And to think many of us stand under it most days with water cascading over our heads and even straight into our open mouths if we prefer brushing our teeth while showering. If this is news to you (it was to me! ), you are definitely not alone …. How can you clean inside the sprayer? Here are a few tips and options to protect your families health. Fill a bowl with straight vinegar and let the shower head soak in it for a few hours. Leave overnight if it’s especially bad. Then scrub the holes with an old toothbrush. The pipe leading to the shower head and even the pipe leading to its faucet may not be anchored securely in the wall, and the hole through which it passes may have a lot of wiggle room. Don’t risk breaking something off in the wall. Hold the supply pipe securely as you unscrew the shower head. Shower Clear was born out of NEED. Inventor, Steve Sunshine, identified void in market, his Mother suffered from respiratory illness, and during that time, Mr. Sunshine saw a news report about “shower sickness.” Mr. Sunshine thought that, perhaps, his Mother’s bathroom, specifically the shower head, could at the root of her pulmonary disease symptoms. After removing the shower head, only to find the inside of it covered in mold. The only cleaning solution: To remove and/or unscrew actual shower head and flush it with bleach or vinegar. He tried this method; however, he quickly realized it was extremely difficult and very time-consuming. 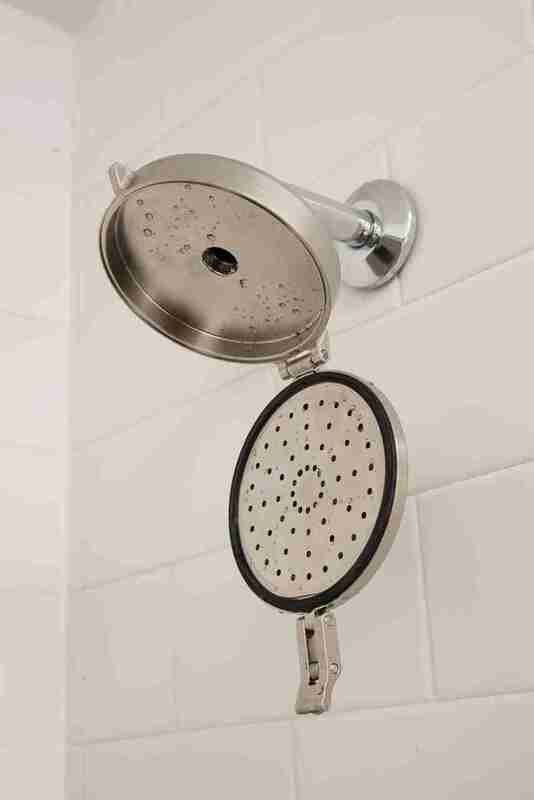 Since he was unable to find a single “easy to clean” shower head in market; so, he invented one! So Shower Clear was born. If you would like to take “The Challenge” and your shower head is on the older side and you suspect it might be a problem, take it down, swab the back with a Q-tip. If it comes out black, post pictures on their FaceBook and they will give you a 20% discount code in exchange for your old icky shower head. Any up for the challenge? We have been testing our Shower Clear for months, as our family suffers from mold, mildew and bacteria allergies. The results, no more stuffiness after a shower, we are all sleeping better and we are much healthier. All from a shower head that improved our health and may improve yours too.